Taco Chicken Tenders are easy to make and are ready in less than 40 minutes. 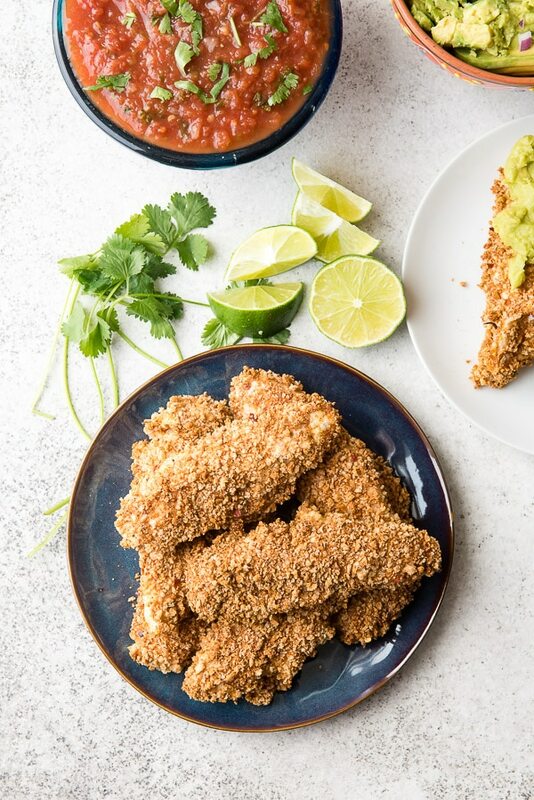 Chicken tenderloins are breaded with homemade gluten-free bread crumbs and homemade taco seasoning then baked for 20 minutes to create a crispy exterior and moist, juicy chicken inside. Fun to dip in salsa, guacamole or crema! My quest for fast, easy, delicious dinner recipes continues with a note of desperation right now! Life is busier than I can describe (and if I tried, you’d want to take a nap just thinking about it). With Cinco de Mayo coming up this week I’ve been craving all flavors Mexican food. 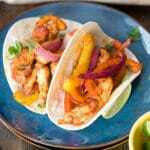 Though we do make tacos and quesadillas often, I wanted to jazz up a different favorite recipe with some familiar seasonings: Taco Chicken Tenders! Most chicken tenders are either purchased frozen and heated at home, or picked up at fast foods restaurants to go. Once you see how easy these are to make you will be making them fresh at home. They cook in 20 minutes and only take about 10-15 minutes to prepare. 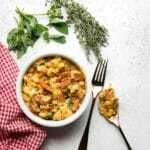 This recipe is made with ‘chicken tenderloins’ which is a cut of meat you can buy in your grocery store. The tenderloin is a strip of meat attached to the chicken breast but is easily removed so when buying a package of chicken tenderloins, no further cutting of the meat is required. 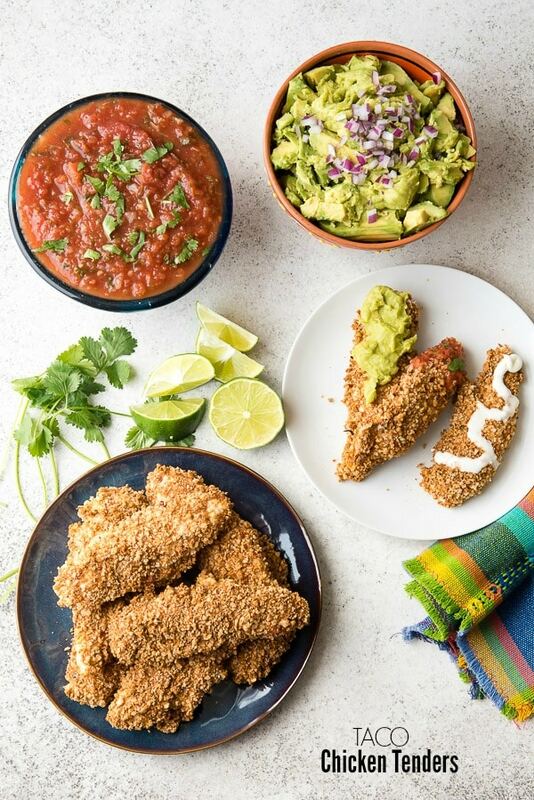 Unlike many chicken tenders which are fried, these Taco Chicken Tenders are baked. They are breaded with homemade gluten-free bread crumbs and baked for 20 minutes. They emerge with a crispy taco-flavored outer coating and moist, juicy chicken inside. I love to dip them in taco-friendly things such as guacamole, salsa or crema. Using homemade taco seasoning also makes for big bold flavor that is not overly salty as many pre-made taco seasoning packets tend to be. Making breadcrumbs from scratch is very easy. It’s a great trick in the event you run out of purchased breadcrumbs too. 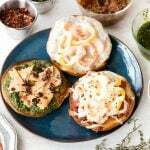 This method works for any type of bread (gluten-free or with gluten). I used Udi’s Gluten free Whole Grain bread which makes a great crunchy texture with a slightly nutty flavor. Step 1: Toast slices of bread in a toaster using a higher setting, in a toaster oven or under the broiler (watching to ensure no burning). Allow to cool to they feel room temperature to the touch. Step 2: Break the toast into a few large pieces and process through a food processor, mini chopper or blender until achieving the desired crumb consistency. Step 3 (if needed): If the crumbs still have any moisture, spread the crumbs into a single layer on a rimmed cookie sheet and bake on 400 degrees for 5 minutes, shaking the pan halfway through. Crumbs should just begin to turn golden. Allow to cool fully before incorporating into a recipe or freezing in a sealed bag for future use. 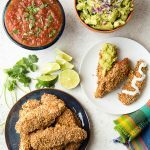 Taco Chicken Tenders are full of flavor and super easy to make. 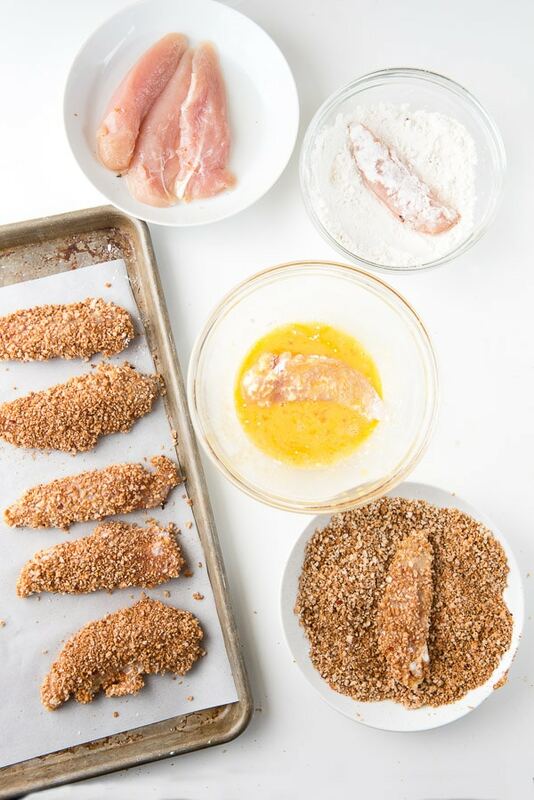 A simple three-step dipping method coats the chicken tenderloins with taco-spiced breadcrumbs creating a crispy, crunchy coating when baked (no deep frying) and the chicken is juicy and moist! Dinner can be on the table in less than 40 minutes. 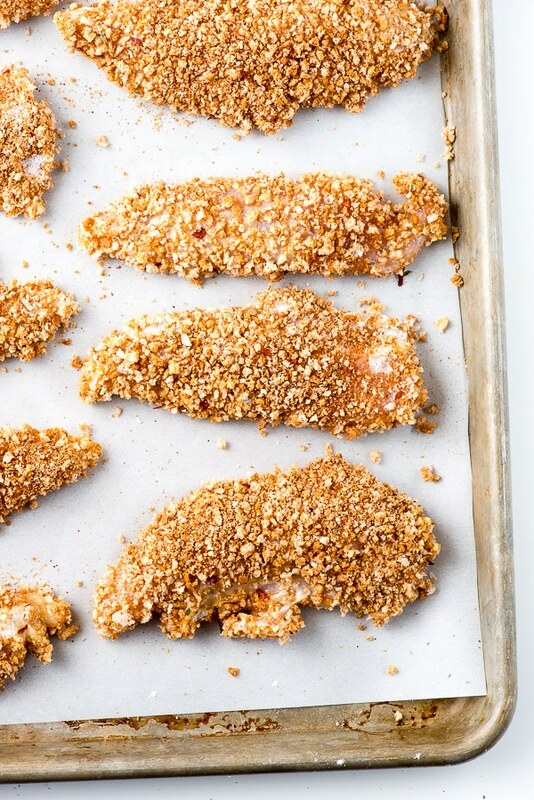 Chicken tenders are very easy and delicious to make at home. They cook quickly and stay moist and juicy. 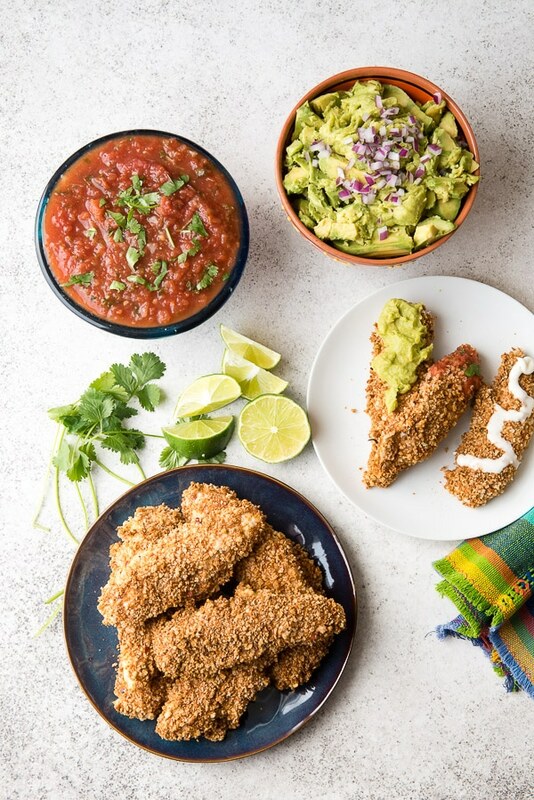 Coated with homemade breadcrumbs and from-scratch taco seasoning create a crunchy exterior and moist chicken you'll love! Preheat the oven to 400 degrees F. Line a large rimmed baking sheet with parchment paper. Set up three medium mixing bowls: one with the flour, one with the eggs and one with the breadcrumbs. Combine all the spices in a small bowl and mix. Add to the breadcrumbs and mix thoroughly. Dip a moist chicken tenderloin in the flour to cover; shake off any excess flour. Next dip into the eggs to coat allowing excess to drain back into the bowl. 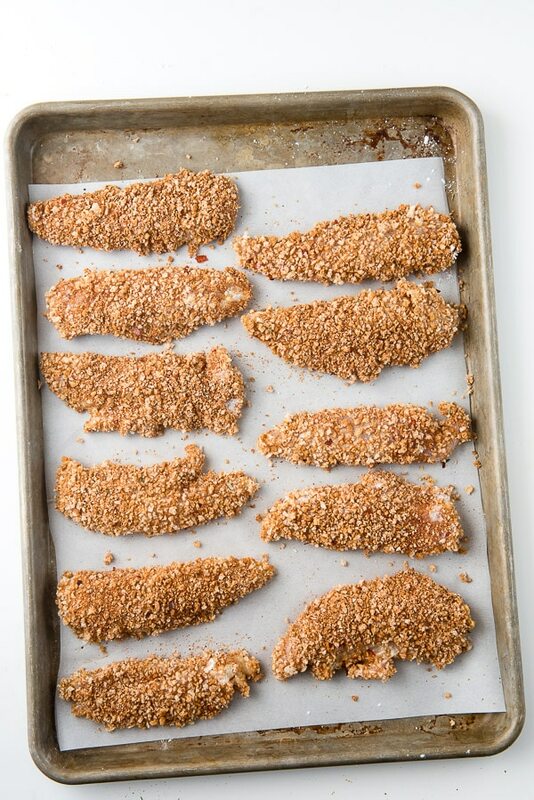 Dip the coated chicken into the seasoned breadcrumbs and turn to coat (or spoon the breadcrumbs onto the top of the chicken to fully coat). Repeat to coat all chicken tenderloins and place them onto the prepared baking sheet. 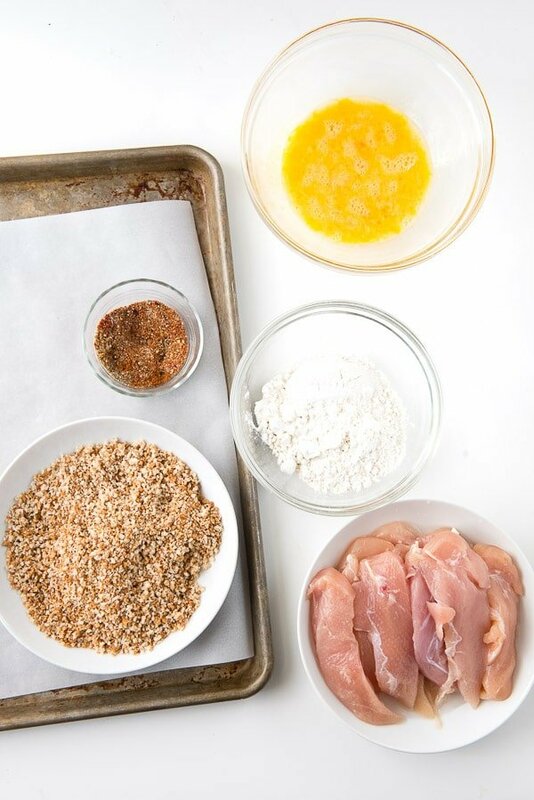 TIP: Use one hand to dip the chicken into the flour and egg and the other to coat in the breadcrumbs. Bake for 20 minutes and serve immediately to ensure a crispy crust. These Taco Chicken Tenders look phenomenal! 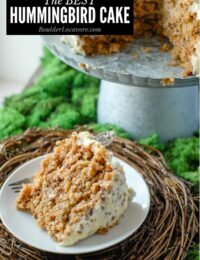 This looks and sounds like a yummy recipe! I”m always on the lookout for new recipes! I’m sure the kids won’t even notice that these are baked and that the bread is gluten free. 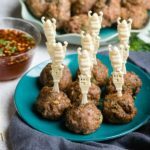 I think these are great and it’s a lovely recipe for movie night or dinner! Those are lovely and I appreciate that you baked them instead of frying them. The sauces are perfect and I like the idea that you made your own breadcrumbs! Homemade chicken tenders beat store bought any day. I am trying to bring healthier foods and ways of cooking into my home and I will be adding these to my list.